Liv Boeree was originally from England, Kent to be specific, and she is one of best female poker players, and of course, one of the most successful of all the time. She has earned over $3,500,000 USD from live tournament and she is still very active in the poker world. She studied Astrophysics at the University of Manchester and graduated with a first class degree from the school. She later became a big name in the modelling world before she proceeded to become a well-known and respected TV presenter on different TV shows. Liv was born on July 18th, 1984 and resides in Kent, England. Popularly nicknamed Iron Maiden, Liv has gone ahead in life to attain great achievements in different areas of life. She is famous as a poker player, a speaker, and a TV presenter. She is both 2010 European Poker Tour champion and a World Series of Poker Champion. Liv happens to be the only female player in all of history to have earned these titles. She first went to Ashford School before moving to the University of Manchester where she studied Physics and earned a First Class Honours degree in Astrophysics from the university. Liv Boeree is a three times winner of the yearly Global Poker Index European Female Player. She currently occupies the fifth position on the list of all-time female live poker winnings. After graduating from the University of Manchester, Liv moved to London to start a new phase of her life. According to her, she didn’t have any clue about what the next phase of her life holds or what she wanted to do. What she was sure about however, was that she wasn’t going back to science and research. She wanted to explore other exciting things in life. Her first contact with Poker came when she saw an advert for a TV reality show titled ‘UltimatePoker.com Showdown’. The money involved was £100,000 and she decided to give it a shot. She entered for the contest and was selected as one of the five poker contestants. She learnt a great deal about poker during this period and met a couple of professional poker players who taught her about the strategies of playing poker. She loved the way the poker players lived and she made up her mind there and then to become a professional poker player. Liv Boeree was first introduced to the poker gaming world when she was chosen as one of the contestants of the TV reality show ‘Ultimatepoker.com Showdown’. This reality show was aired on Five during the 2005 autumn. During the reality show, Liv was assigned to be coached by top poker players, Dave Ulliott, Phil Hellmuth, and Annie Duke. From this point on, her poker career took a new turn for the better. She participated in the Ladbrokes European Ladies Championship in 2008 and became a winner of the event with earnings of $30,000. She went on to win the European Poker Tour main event of April 2010 in Sanremo. At this time, this event was the biggest poker tournament to have take place on European soil. During this tournament, Liv Boeree won a total of €1,250,000 and became the 3rd woman to ever win the European Poker Tour title. In 2017, Liv participated in the World Series Poker held in Las Vegas where she won the second place at the $10,000 Tag Team No Limit Hold ‘Em Championship. She played with the Russian poker player, Igor Kurganov, and won a total of $273,964. She has also participated in various poker events where she won various earnings. Some of her other notable winnings include a runner-up position at the 2014 UKIPT Edinburgh Main Event and third place finish at the EPT Barcelona High Roller event where she won a total of €391,000. Liv has been a recipient of quite a number of awards through her career as a Poker star. She won the Female Player of the Year at the European Awards for years 2014, 2015, and 2016 consecutively. These awards were based on the Global Poker Index points she gathered over the period of the years under reference. Liv also got an award as Europe’s Leading Lady at the European Poker Awards in 2010. She has been an active member of the Team PokerStars Pro since 2010. Liv Boeree’s total live tournament earnings as at August 2017 were estimated to be over $3,500,000. Early in 2016, Liv was declared the Team Manager of Global Poker League team, popularly referred to as ‘The London Royals’. After her first appearance at the poker reality TV show in the United Kingdom back in 2005, Liv Boeree became a regular face at different poker games shows. She became a regular host and not long after, she started making big waves at poker tables. Her first major live tournament winning was made at the European Ladies Championship of 2008 and after this; she got involved in various other live tournaments where she made quite impressive winnings. Top highlights of her money finishes include the 2009 Five Star World Poker Classic which took place in Las Vegas. During this game, she made a top-40 finish in the WPT Championship Main Event of $25,000. In 2010, Liv Boeree hit the height of her career ever when she travelled to Italy to participate at the European Poker Tour Season 6. This tournament placed Liv at the top of her career when she joined other 1,240 top players in the world to compete for the biggest cash. Liv made it to the final table and took the title and a whopping winning of $1,698,300 at the end of the show. Her performance was one of the best performances to be witnessed at the EPT tournament. This tournament clearly distinguished Liv as one of the best and finest players in the whole of UK. Boeree didn’t rest on her oars after the last huge winnings; she took another step to showcase her skill at the 2011 PokerStars Sunday Warm-Up. She stood tall amidst a huge field of 4,710 to win the prize cash of $147,780. Liv Boeree is a multi-talented personality who has branched into other areas to showcase her talents. She is not only a poker star player; she is also a TV presenter, a speaker, and a model. Her Television shows include ‘The Mind Control Freaks’ aired on Discovery Channel between 2015 and 2016. She also featured in ‘MindGamers’ by Red Bull TV in 2017. Between 2011 and 2013, Liv has been involved in various TV shows, including UK and Ireland Poker Tour, a weekly TV show that was aired on Channel 4 in the United Kingdom. Other TV appearances specifically relating to poker games include the European Poker Tour between 2010 and 2016, Channel 4’s ‘Shark Cage’ aired in 2014, and NBC’s ‘Heads Up’ aired between 2011 and 2013. Her other TV appearances include the BBC Breakfast with Boris Becker in 2010, September. In the May of 2010, she was also interviewed by Lorraine Kelly on ITV’s GMTV about her winnings at the European Poker Tour. In 2006, she made an appearance on the show ‘Codex’ on Channel 4. Liv was part of the Celebrity Graduate Manchester University team of 2011 who took part in the seasonal general knowledge tournament, ‘Christmas University Challenge’ organized by BBC2. In July of 2017, Liv appeared in the ITV’s Golden Balls show where she won a total of £6,500.50. Attaining a first class degree is definitely not a child’s play, so there is no doubting the fact that Liv Boeree is brilliant. She not only plays poker, she is also a seasoned speaker. She made an appearance as a guest speaker at Google HQ, San Francisco during the Effective Altruism Global event in August of 2015, and Websummit Dublin in November of 2015. She also appeared as a guest speaker at the Oxford University Union in 2016, the Cheltenham Science Festival in June of 2016, Jesus College, and Cambridge in February, 2017. Liv made her first TEDx Talk at the prestigious TEDx Manchester in the February of 2018. Her talk was based on the benefits of thinking in probabilities and a month later, she was invited to speak at the TED 2018 Conference in Vancouver at their inaugural event ‘TED Unplugged’ session. She spoke on the topic; ‘Three Life Lessons from Poker Table’. Liv Boeree is a great speaker and has impacted many people through her speeches. Known for her passion to share her knowledge with others, she has been involved in different events where she has been asked to give speeches on different event topics. No doubt, Liv is a force to be reckoned with in the Poker gaming world. However, she is not all about making the money without giving back to the society. She has been involved in numerous charity works and her passion now is to help with altruism. She first learnt about effective altruism from her fellow poker players in Switzerland and Germany. At this point, she was very ready to become an active player in this area of work. Moved by the statistics and argument presented to her by her colleagues, she decided to team up with her poker friends to con-found the charity platform; Raising for Effective Giving. REG is aimed at spreading effective altruism within the poker industry. The goal of the charity platform is to raise enough to be able make huge impact in research foundations and charities. The charity is structured to educate poker players about effective altruism and fundraising for selected charities. She has developed many plans on how to increase her personal impact in the charity work. Apart from donating a certain percentage of her poker winnings to the charity work, she is also looking at networking to get more people of like-minds to join the platform. She also planned to put together a charity poker event with ‘Raising for Effective Giving’ (GER) to raise fund and enhance the visibility of the organization. As at January of 2017, GER has been able to raise more than $6,000,000 for its different charity works. No doubt, all the works that have gone into developing GER is gradually paying off as many grounds have been covered already. According to Liv, she has learnt a great deal about ethics, philosophy, and rationality since she had become an active part of the effective altruism society. As part of her charity work, Liv Boeree has also raised alarm about the possible risks arising from the growth of artificial intelligence and is actively supporting research and studies that are directed at safe Artificial intelligence. According to Liv, science has always been a fascinating subject while she was in school. She particularly liked physics and as far back as when she was just seven years old, she would sit with her mother to look at the stars. Her mother taught her all she knew about astronomy which greatly increased her interest in Physics. Liv Boeree acknowledged that her love for physics has greatly helped her in poker games. “Physics teaches you how to think in an exceptionally analytical way. With a mathematical and analytical mind, a poker player is at a great advantage” Liv was heard sharing with a team. She also believed that the ability to reason clearly under pressure and time constraints is very crucial while writing physics exam which is exactly the same with poker game. According to her, if you are playing at a tournament, you really do not have the luxury of time to make important and complex decisions; there is lot of cash involved and all eyes are on you, so you have to be fast in your thinking and action. On whether she still keeps up to date with her knowledge of physics, her answer was no. Of course, with a lot of activities going on in her life, going back to study physics is definitely not within her scope of to-do list. Liv Boeree believed that Poker game is an exciting and very analytical game, requiring different skills such as psychology, memory, mathematical ability, and analysis. To become a good poker player, an individual must possess basic level skills in these areas. According to Liv, a good poker player must be able to keep her nerve and be detached from the game. Focusing on the money being played for is not going to be of any help; rather, it will keep you on the nerve and hinder rational thoughts. Liv believe in luck when it comes to poker game. As a matter of fact, she is of the opinion that the place of luck cannot be underemphasized in the game. Being the best player is not enough without luck on your side because you can play the best game of your life and still come out without any winnings. However, the place of skills and competence cannot be underestimated in poker game too, Liv reiterated. 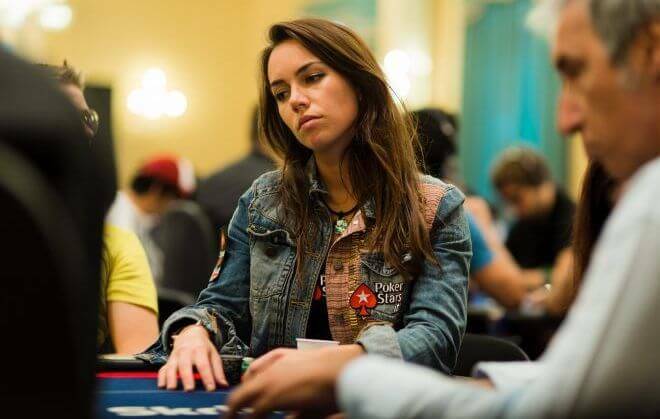 Liv Boeree has spoken about her tournament experiences, how she had grown from a green horn poker player to a professional player through determination, patience, and great luck. On her best tournament experience, she mentioned that her best tournament so far was the European Poker Tour where she won a mind blowing €1.25m. She believed she also had some amazing run at the 2009 World Poker Tour championships where she won the sum of $40,000. Liv is a sociable person with many friends. In all her busy schedules, she still finds time to hang out with her friends and have some fun time. One thing she finds hard to do with her non professional friends is to ‘play poker just for fun’. She said she always find it hard to come to the level of playing poker for fun. She is a professional poker and for her, there are a lot of things at stake when she is at the table. She has not gotten round to relaxing her guards when playing with her friends. She seems not to be able to play poker for fun or not be at her best when playing. There is no doubt that Liv Boeree is determined to be successful in everything she does. As a professional poker, TV personality, and Speaker, Liv is definitely a force to be reckoned with. She seemed to be set to become one of the biggest poker stars the gaming world has ever seen. With so many titles and many more to come, she is absolutely on her way to become a legend in the industry. Well, Liv is not all about poker, she is also involved in other fun things of life. She is a big fan of music and she loves spending time playing her guitar. She is an accomplished speaker on various topics such as mathematics, game theory, and science. She has been invited to deliver talks at different events including the popular TED event. She is an active member of Team PokerStars Pro and she is often seen playing online with her screen name – Liv Boeree, on PokerStars global site. She also plays on the French licensed site as LiveBoeree.fr. There are different kinds of player in the casino world generally and poker specifically. There are players who seemed not to be able to handle their gambling competencies and are losing a lot due to their poor performances. Liv has something to say about this. According to her, she believed that the problem with bad gambling definitely exists. Many people want to become professional poker player but do not want to give what it takes to attain that position. Liv lends her voice on how to become a professional poker player. According to her, playing like a professional requires dedication and discipline. Most especially, it is important to play within your means. She is also of the opinion that players should not focus their entire life earnings on gambling. She advised that people should have other source of income and not depend on gambling as the only source of income. Depending on gambling alone will only make you want to spend more on gambling with the hope of making some winnings but it does not always work out like that. She advised that just like any other investment, gambling can go wrong, therefore, no player should gamble outside their means or put all their hope in winning any poker game. 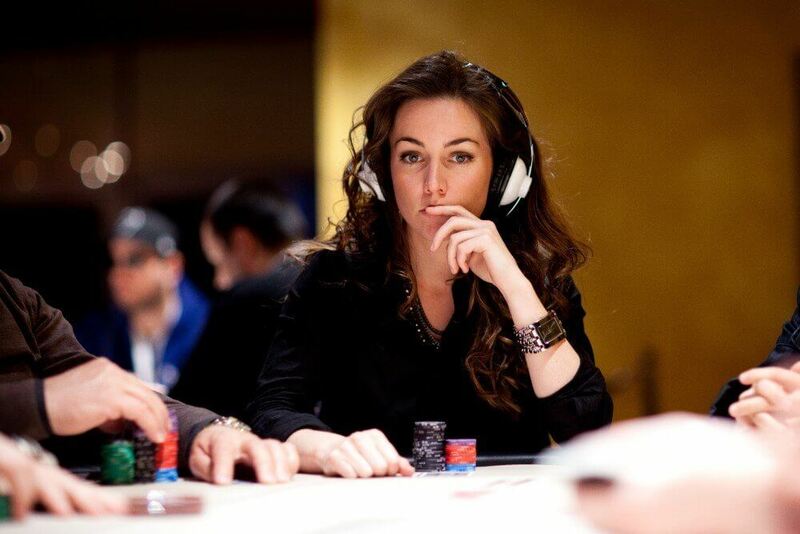 Liv Boeree has become a strong force in the poker world. She has won numerous awards and her total live tournament earning is placed at about $3,716,336. Her best live cash is a whopping cash of $1,698,300 and her all-time money list is ranked 319th. Apart from her poker career, Liv has also invested her time and money in helping charity causes through her charity platform; Raising for Effective Giving. She is looking to explore the charity organization to reach out to other poker players within her circle of influence. Liv Boeree is a great poker player and she seems to be riding on the waves of her success to make greater impact in the industry.